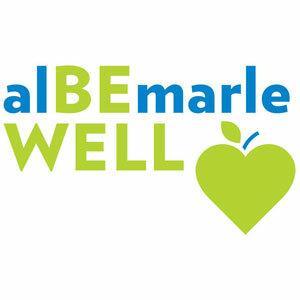 BeWell Albemarle Announces New Employee Benefits and an Opportunity to Earn $100! BeWell Albemarle is excited to introduce MedExpert, a powerful new employee benefit, along with FREE employee health screenings this May and June … AND a $100 incentive to employees who participate in a health screening event and complete a health assessment. Ever have questions about the healthcare system, but can’t reach the right person? Wish a doctor were more accessible? That’s where MedExpert can help. MedExpert is a U.S. company that uses on-staff doctors and nurses to answer your healthcare questions. It is safe, confidential, and completely without charge for you. Health care can be confusing, and this benefit will make your experience easier. MedExpert does not replace your doctor; instead, they work with you to ensure that you are getting the best health care possible. Expert advice is just a phone call away! Sign up now for BeWell and Wise Fairs this May and June! These events include employee health screenings with MedExpert. You will learn things like your current blood pressure and cholesterol levels through a few quick tests, followed by a brief results overview. Then you can hear more about the healthcare resources available to you as a County employee. All this is sponsored by BeWell Albemarle with no out-of-pocket cost to employees. Schedule an appointment for your screening and you can be done in only 15 minutes! Check out the FAQs for more details. Health Screening: Participate in one of the BeWell and Wise biometric screening events, OR you can complete the Health Screening portion by visiting your healthcare provider. Health Assessment: Complete a self-rated health assessment through MedExpert. Online and phone options available for your convenience. Log in to your MedExpert portal or call 1-800-999-1999, 7 a.m. to 7 p.m., Monday – Friday. Disclaimer: Albemarle County is self-insured and holds the needs of our employees paramount in managing the BeWell program. The County also remains committed to protecting your privacy and the security of your personal health information. In partnering with MedExpert, we are assured of its continuing commitment to preserving your privacy and complying with all legal requirements. MedExpert is experienced in protecting confidential information, is required to do so under the County’s and School’s contract, and is compliant with HIPAA and other federal and state privacy protective regulations. MedExpert provides a service that is deemed essential and proper to serve the health of our employees and thus dissemination of contact information is necessary. Please review our Protections from Disclosure of Medical Information policy.